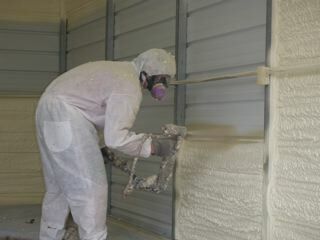 What makes Atlanta spray foam insulation environmentally friendly? First and foremost, it fills every imaginable space trapping the heat, cool air, or moisture from escaping through cracks. It also cuts down on wasted energy by 20-40%. So by using insulating your home with this energy-efficient material, you are using less energy to begin with. Also, some brands of foam are made from agricultural based materials and use high levels of reusable materials. While the amount of energy saved in your home and business is remarkable and very environmentally friendly, when you consider the whole process of manufacturing to installation there are some non-green practices involved. If you’re looking for a professional Atlanta Agricultural Spray Foam Contractor, then give us a call today at 678-561-FOAM (678-561-3626) or complete our request estimate form.